Hold the ball against the wall at about chest height. Put one hand on the ball at shoulder height. Step back so that your arm is straight. If you get any shoulder blade winging or shrugging you have reached technical failure - take a break. Be sure to activate abdominal muscles to prevent your hips from sagging forward. 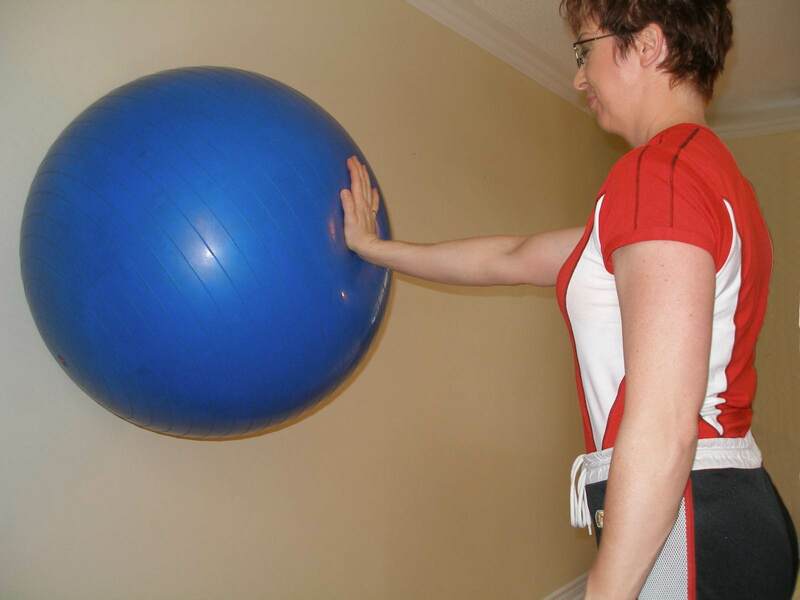 This ball exercise is good to improve shoulder strength, stability and control. Take another step back from the ball. Hold this position for 5 seconds, repeat 5 times.